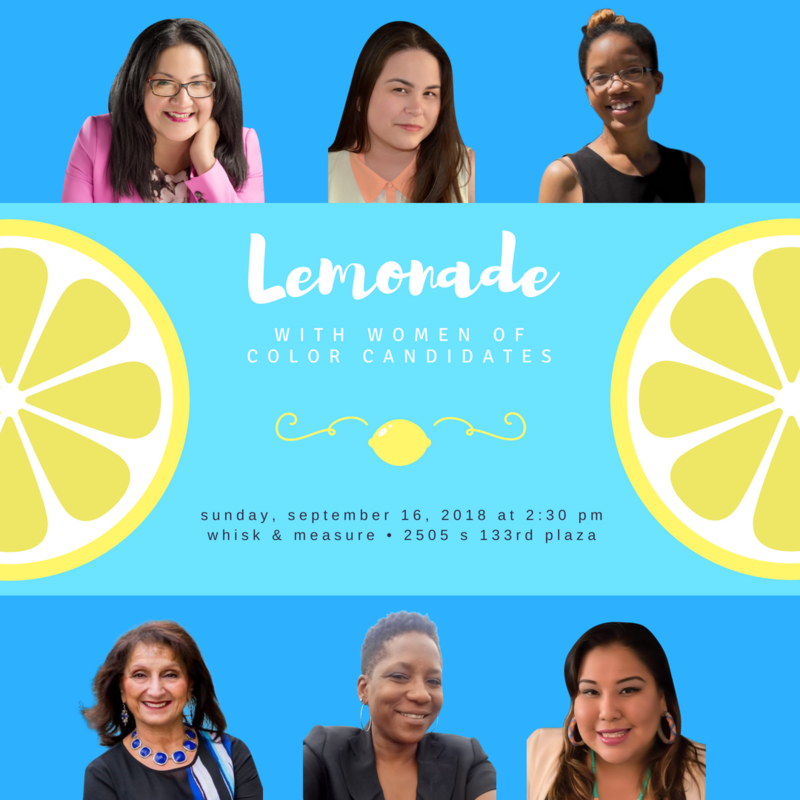 Join us to meet some of the women of color candidates running for office in Omaha and Lincoln, Nebraska. Each candidate will speak for a few minutes. After, we encourage you to mingle and enjoy some fresh lemonade. Donation not required; this event is open to all. If you cannot attend, we encourage contributions, which will be divided among all six candidates.